The Appliance Scratch And Dent Outlet will save you a lot of money! This “amazing discount super store” is one of the largest factory authorized Scratch and Dent dealers in the province of Ontario. We offer factory direct appliances at HUGE discounts. 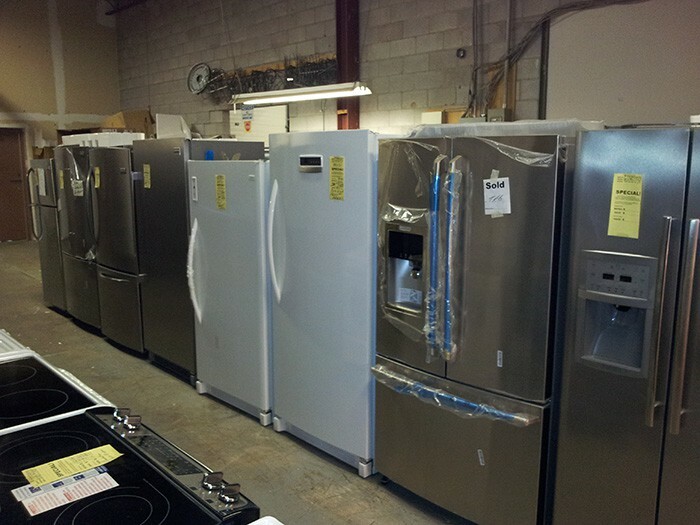 We have Scratched and Dented Appliances at discounted prices that are well below retail. 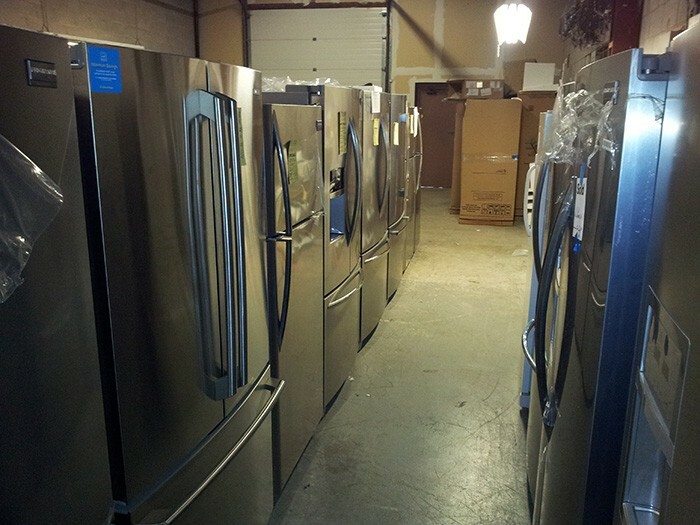 Thousands of people have purchased appliances from us over the years and saved BIG money. Friends .. our scratched, dented, repacked, refurbished and open stock close-out appliances are all fully guaranteed by the manufacturer. 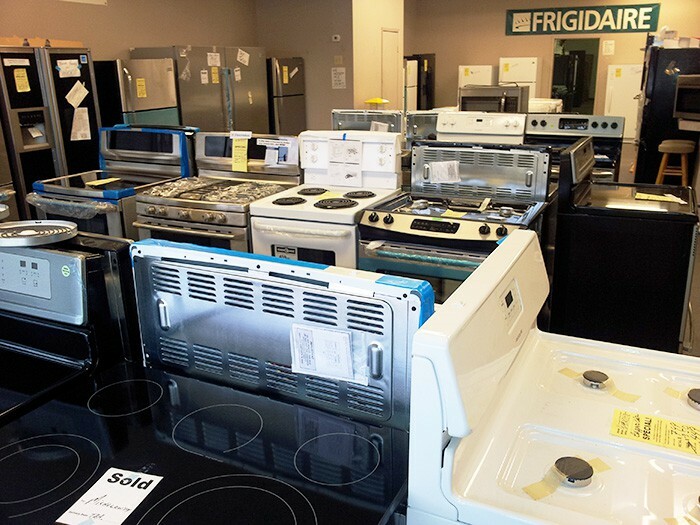 — Special Discounts apply to these major home appliances because they may be an out of carton floor sample, a freight damaged or refurbished unit, a display model, a factory clear out, or a limited quantity special. It’s a one-of-a-kind value specially priced to save money. 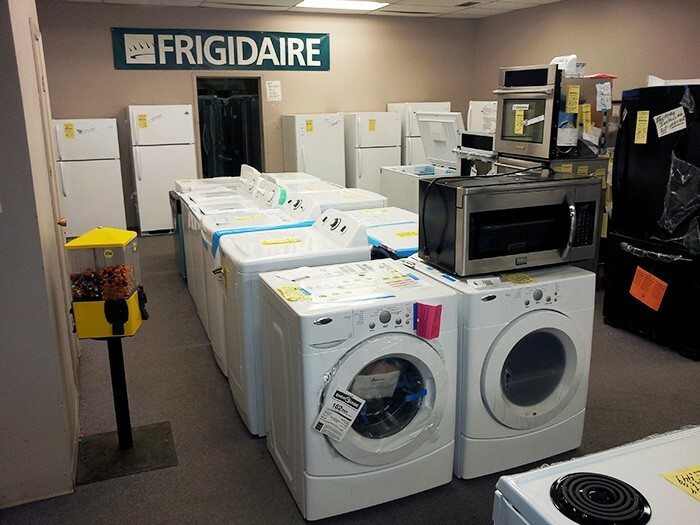 Some appliances have discounts over 60% off suggested retail prices! All appliances are new with some cosmetic blemishes! 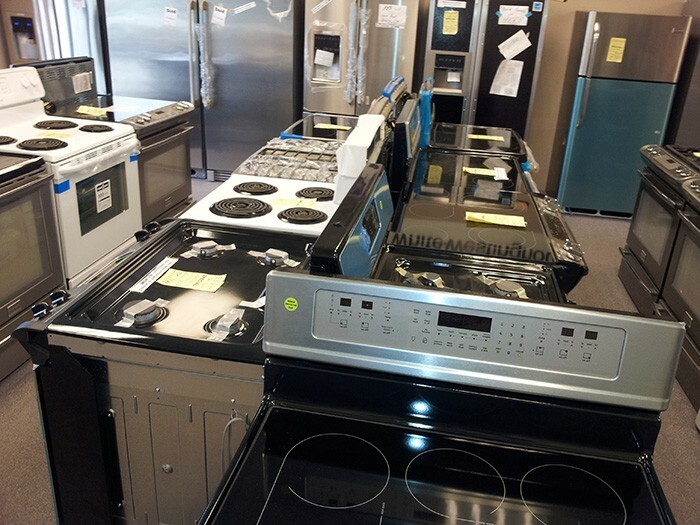 Every appliance is FULLY GUARANTEED for parts & labor on functional operation. We dare you to Shop ‘n compare… You can save up to $1000 or more on your appliance purchase. A refrigerator was scratched on its side, so we discounted the price. You save a bundle! The side that shows the scratch will be hidden in your kitchen. No one will ever know or see the damage! A glass door on a range accidentally cracked during shipment between the manufacturer and a retailer. Guess what — we replace the door, reduce the price, and you buy a perfect piece! A handle or wheel got bent so our service technician replaced it. You buy it and save money. A unit was used as a sample at a trade show and is truly in MINT condition, you get the savings. A dishwasher sustained only minor carton damage while being shipped, yet was discounted. 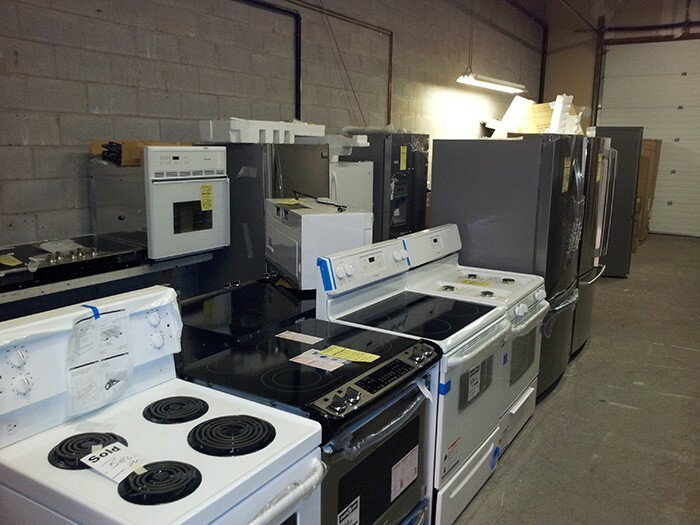 Savings could be $150, $300, $600, even up to $1000 in our unique one of a kind appliances store!